Our responsible action taking and our engagement for the environment has been rewarded with the obtainment of the « SuperDrecksKëscht fir Betriber» label. This label is certified according to the international ISO code 14024. Treatment of products by means of authorised companies. As we have met the criteria for five consecutive years, we have been rewarded with a certificate and the label has been extended. In addition to our concern for quality and the environment, we are focusing more and more on the topic of the CSR (corporate social responsibility). We have decided to define our CSR strategy, which we have shared with our employees, to make everybody aware of the fact that they should work together, at all levels, in an approach of sustainable development. For this initiative we have been rewarded with the CSR Label. 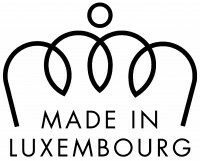 The Label “Made in Luxembourg” shows the origin of our know-how. This brand is granted for a period of 5 years and only for luxembourgish products and services. In a first step, this label has as a goal to promote the products and services performed by companies created in the Grand-Duchy. To obtain this luxembourgish Label, it is necessary to follow proceedings which will be thereafter evaluated by the Chamber of Trade or the Chamber of Commerce. After receiving the right to use the Label, it is necessary to follow strict procedures but it allows to the companies to use the logo on licensed products. For nettoservice this means that the new “ Made in Luxembourg Label” will follow our Logo. This Logo allows us to display the luxembourgish origin and this factor plays nowadays an important role and symbolizes trust, loyalty and our expertise . This label had known a growing interest in the handworker sector during the last decade and we are very pleased to take part in the repertory of the detaining companies. The awarding of the Label will be the 27th April 2016 during the Spring Fair. As we show great concern for the quality of our service but also the preservation of the environnement, we have not only been certified in accordance with the ISO 9001 norm for quality managment but also in accordane with ISO 14001 for the managment of waste. Equal treatment of women and men. Equality of women and men in decision-making. Equality of women and men concerning the reconciliation of professional and private life. We realised a project that allowed us to evaluate, to develop and to improve our engagement regarding equal opportunities. Our plan of action has been awarded by the Ministry "de l'Egalité des chances" with the "Positive Actions 2017" award, a prize that makes us particularly proud.